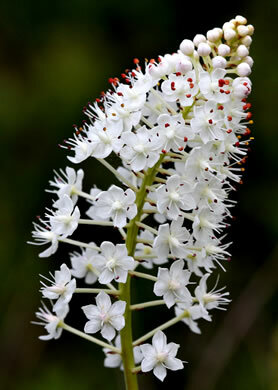 Your search found 7 image(s) of Crow-poison and Fly-poison. 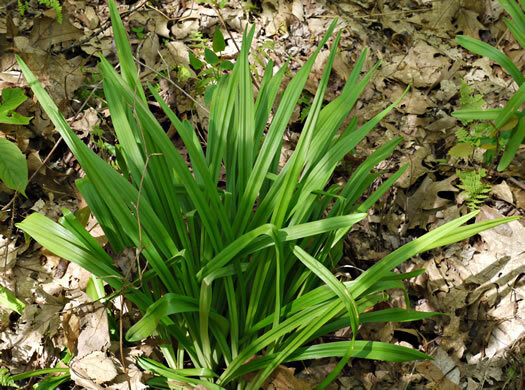 Terminal racemes can be conical or cylindrical, 1.25-4.5" tall, per Wildflowers in the Field and Forest. 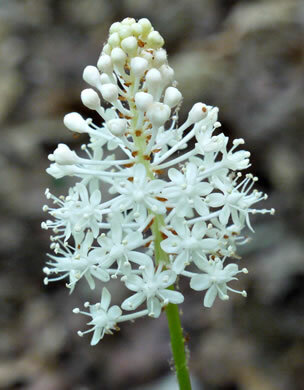 Stem terminated by a cone-shaped, 2-4", many-flowered inflorescence, per Atlantic Coastal Plain Wildflowers. 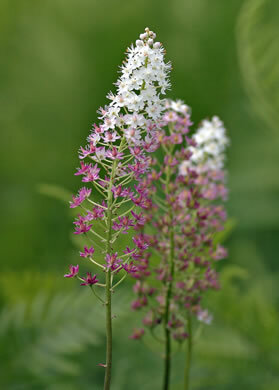 Basal lvs' main veins parallel, diverging at leaf base & rejoining at the apex, per Weakley's Flora. 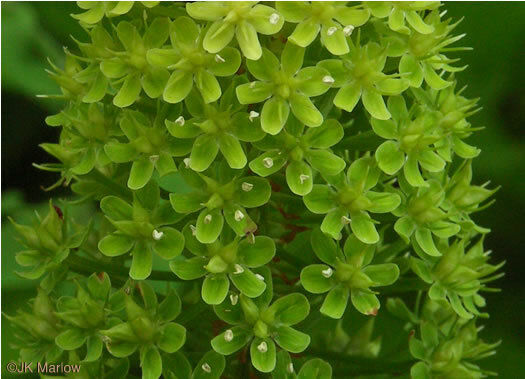 The perianth turns green after pollination and remains so for some time, per Wildflowers of the Southern Mountains. 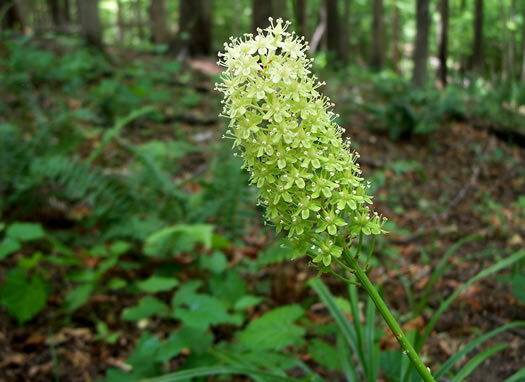 A conspicuous 3-5" cone-shaped inflorescence tops a nearly leafless 5' stem, per Atlantic Coastal Plain Wildflowers. 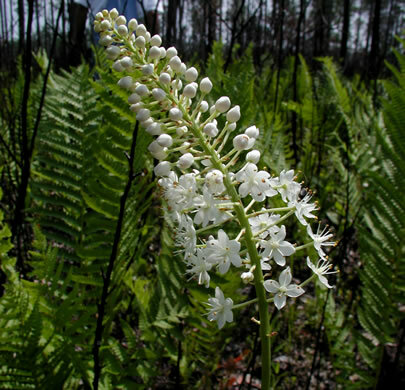 Often confused w Amianthium muscaetoxicum, which has more & wider basal lvs, per Wildflowers of the Eastern United States.